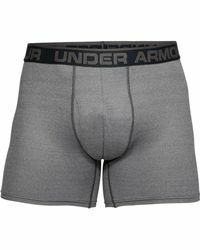 Brand dependency tends over shadow male underwear decisions, which leaves very little wiggle room for creative designs. 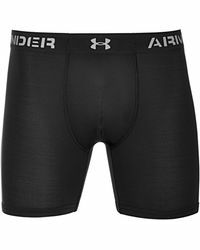 Plain and simple tend to be the needs of male under clothings, but Under Armour spices things up with a few sensational style add-ons. From design patterns to libido lining, Under Armour delivers creativity where it's hardly expected. Furthermore, the Under Armour name has been synonymous in male culture on dependability with its support consistency in athletic wear. Those supportive attributes remain intact in the brand's underwear options making it a safe bet when shopping.